Play Tom Clancy's The Division®2. Complete all Classic Challenges offering Club Units in Tom Clancy's The Division®2. 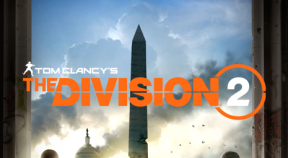 Obtain all Club Rewards in Tom Clancy's The Division®2. Drive the True Sons out of the Capitol building. Discover what the Hyenas stole from Air Force One. Recover essential SHD Network equipment from the Federal Emergency Bunker. Shut down Outcast activity at the DCD Headquarters. Recover interrogation data from the American History Museum. Eliminate the Hyena council in the District Union Arena. Capture the Outcasts' Chief Strategist at the Potomac Event Center. Take down the Outcast stronghold on Roosevelt Island. Hijack an extraction in any occupied dark zone.